I am Internet Marketing Specialist and have worked on more than 125 projects include both SEO and PPC Work. 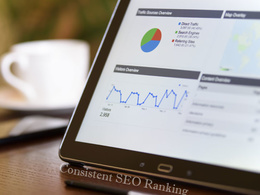 A seasoned SEO consultant with 9+ years of both corporate and independent...Read moreI am Internet Marketing Specialist and have worked on more than 125 projects include both SEO and PPC Work. A seasoned SEO consultant with 9+ years of both corporate and independent consulting experience. Hundreds of first page search engine rankings have been obtained through various internet marketing techniques. Specialties:Technical SEO audits, building comprehensive internet marketing strategies, link building and competitor/niche research.. In addition to a successful corporate SEO career I also build and maintain a portfolio of websites that earn monthly passive income. Successful websites target niches within: Sports Tickets, Mobile Phones, retail appliances and Magazines. SEO - Social Media including facebook, twitter, digg, myspace, linked in and other more than 100 social media websites. SEO - Link Bait, Link Wheel. For more details or for free SEO proposal, please send me a message I will get back to you. I am extremely happy with Shahid's work. He has freely shared invaluable information with me, given great advice, and done exactly what he was hired to do in a very timely manner. I will be hiring him again and highly recommend him! Thanks Dan, It was pleasure to with you. I will be looking forward to work with you in future. Shahid's SEO work was of a good standard and completed on time.